The PurFlo fully breathable cot mattress replaces the conventional foam mattress with a fully breathable, fully washable, foam-free cot mattress. An essential product to help parent’s minds be at peace while their baby sleeps. The only fully washable cot mattress, the PurFlo mattress provides a genuine dust-mite free environment for babies, helping to prevent the harmful build-up of allergens which are known to aggravate childhood allergies such as Asthma and Eczema. Combine the Purflo mattress with the bamboo Purflo sleepsacks and you have an integrated sleep system that is sure to keep baby safe, comfortable and well rested. All parents, whether their attitude to parenting is relaxed or over cautious will at some point worry about Cot Death (Sudden Infant Death Syndrome SIDS). That first night when our baby ‘sleeps through’ all parents have that slight dread when walking into the nursery that their baby has not suffered from the syndrome. Continual research into the Sudden Infant Death Syndrome highlighted possible links with fire retardant chemicals in foam baby mattresses, CO2 pooling and overheating. The PurFlo mattress reduces all of these possibilities. 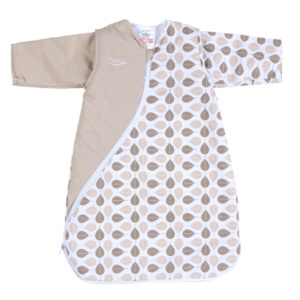 Removable cover which is machine washable at 60 degrees. Sleep surface TM Prevents pooling and rebreathing of CO2 and other potentially toxic gases. Reduces the risk of overheating. Amicor filling, prevents build-up of bacteria and dispels dust mites that are linked to Asthma and Eczema. Can be disassembled and packs compactly into its own carry bag for travel or storage. 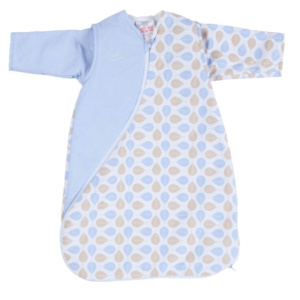 The beautifully soft & comfortable PurFlo SleepSac is the most anti-allergenic, anti-bacterial sleeping bag on the market. Next post: Top trends in kids’ bedrooms for 2016. Hi there, we bought the Purflo cot mattress and would like to know if you have any mattress protectors against wetness. It’s so cold we can’t wash and dry the mattress cover so we need a liquid proof protector that fits this mattress. Is his something you have?